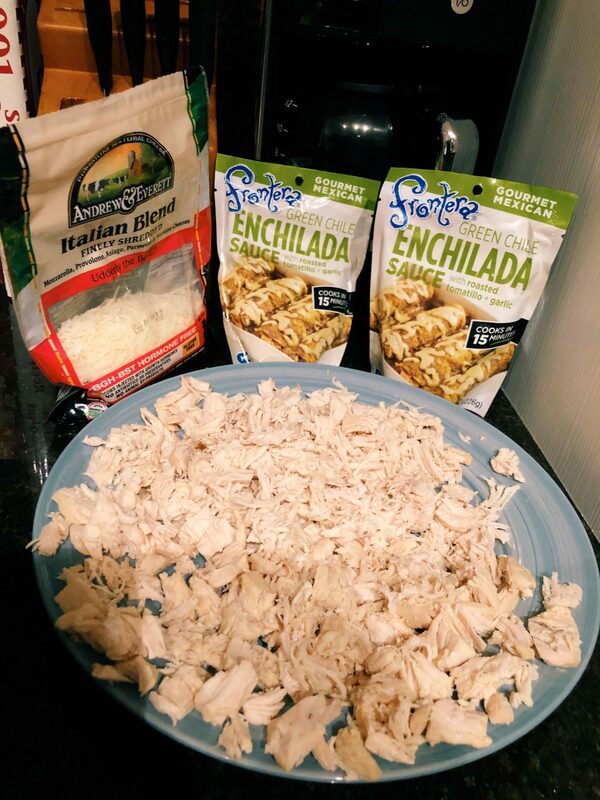 Easy Enchiladas anyone can make! Boil chicken for 15 minutes and season to taste or use Goya Chicken flavored Boullion. After chicken is cooked shred with 2 forks. Preheat oven to 375 degrees. Place packets of green enchilada sauce in a pan at low heat. 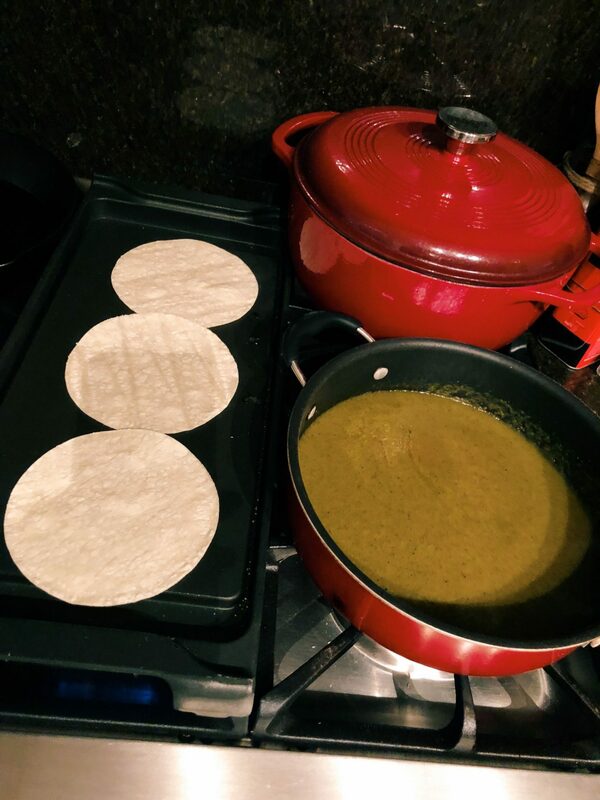 Set up a second pan to heat up tortillas one at a time. Now you will start a cycle that will repeat multiple times. Heat tortilla, place in sauce pan, make sure it has sauce on both sides. Then place in glass or metal baking pan. 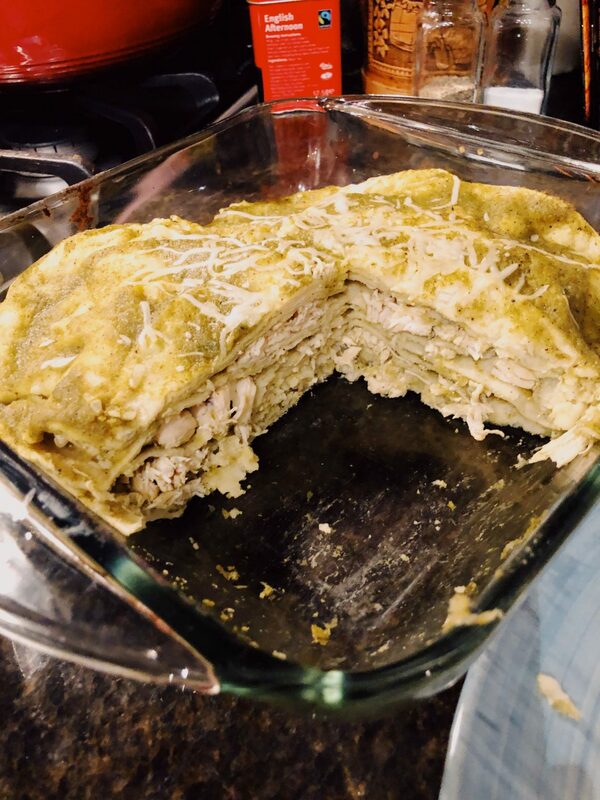 Place 4 tortillas in the bottom, then add chicken and cheese on top and repeat 3 times. 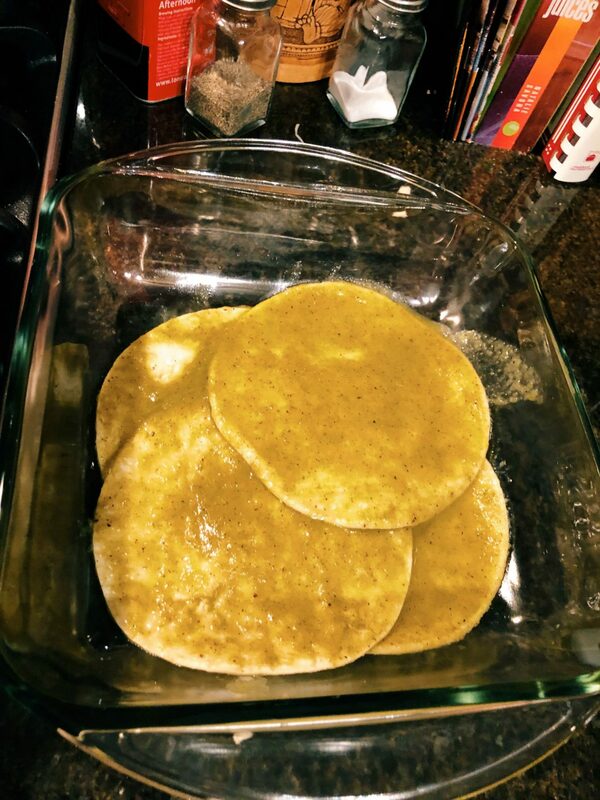 Use the last 4 tortillas for the top layer. 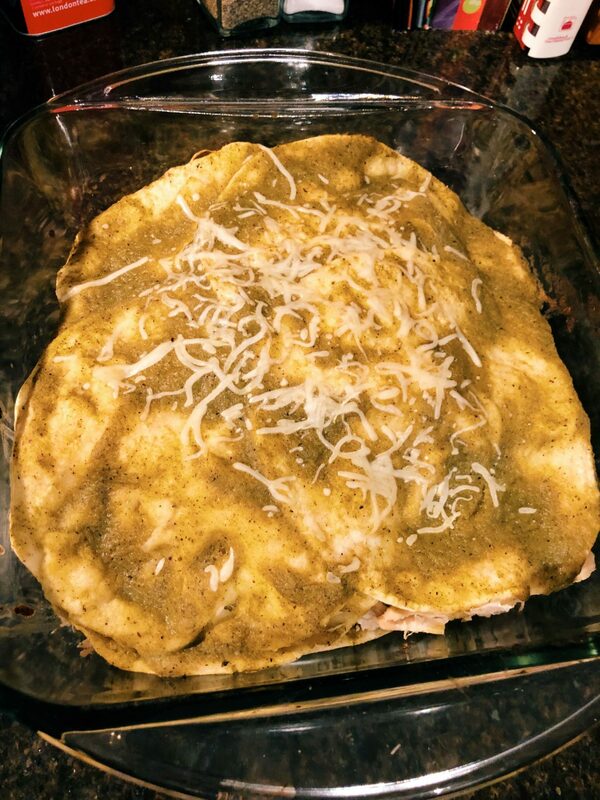 Place any extra unused sauce on top of the enchiladas and top with a little cheese. Place baking dish in the oven for about 12 minutes or until cheese is melted and you’re all set!! 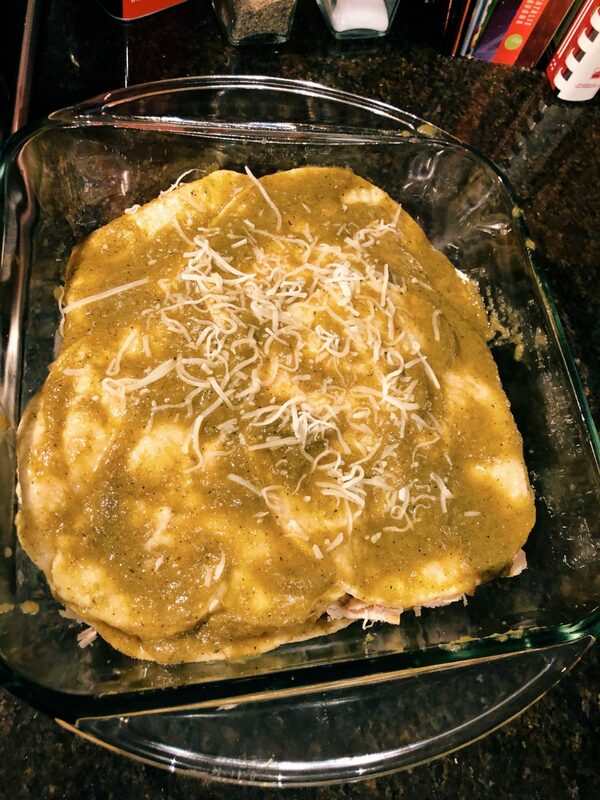 This makes for enchiladas that have a good sauce ratio, however, if you desire to have enchiladas that have more sauce than pictured above you may add another Rick Bayless Green Chile packet. If you use the Del Monte option, two cans are more than enough. 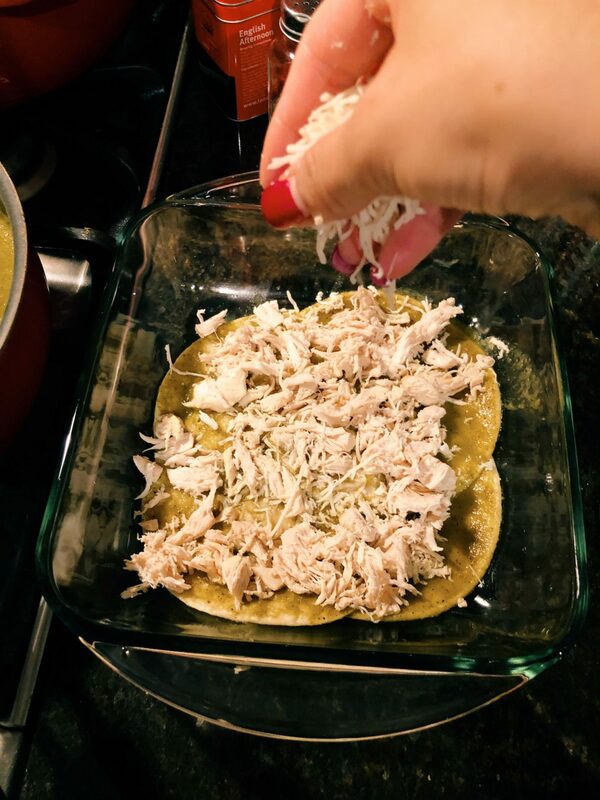 Tip: If you want to make this dish in even less time you can skip the step of heating up tortillas and sauce and go straight into creating layers and let the oven do the work. The reason I like to add this step is because I think the tortilla soaks in more flavor.